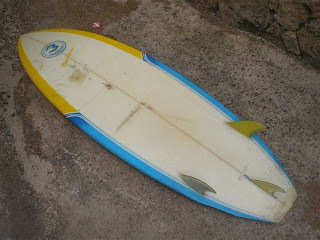 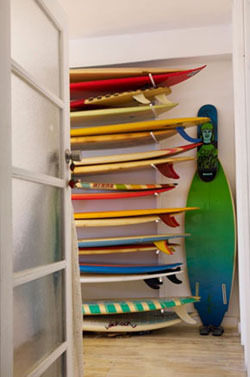 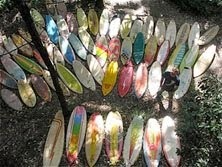 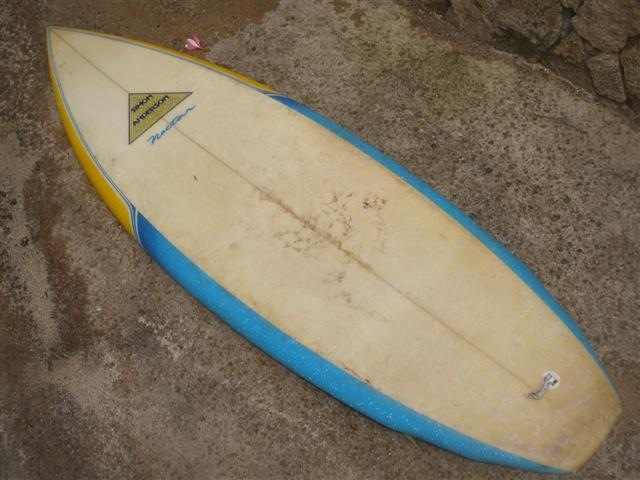 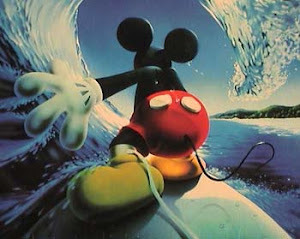 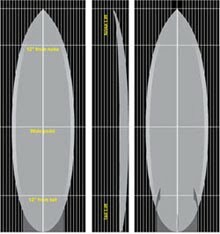 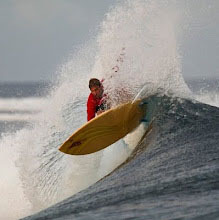 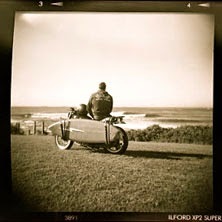 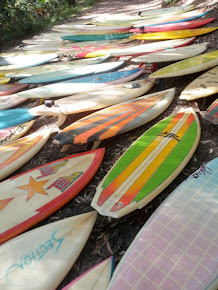 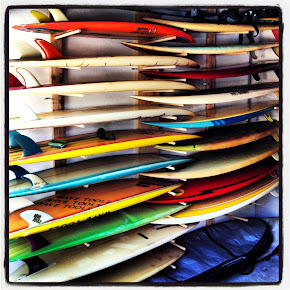 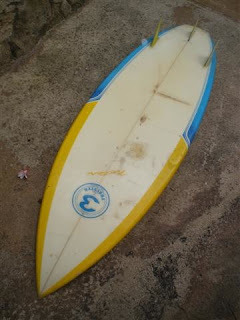 : Board Collector: Nectar Thruster- Part 3. 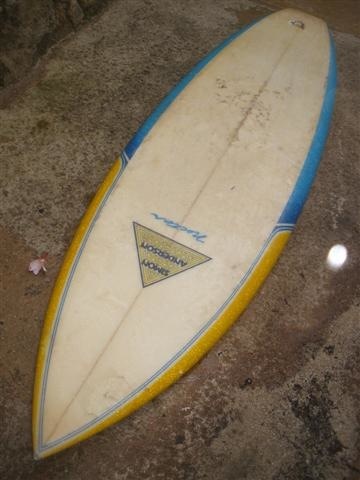 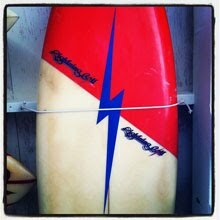 Randy Rarick (via Tim from Kona) has shared pics of his early 80's Gary MacNabb shaped Nectar Thruster. 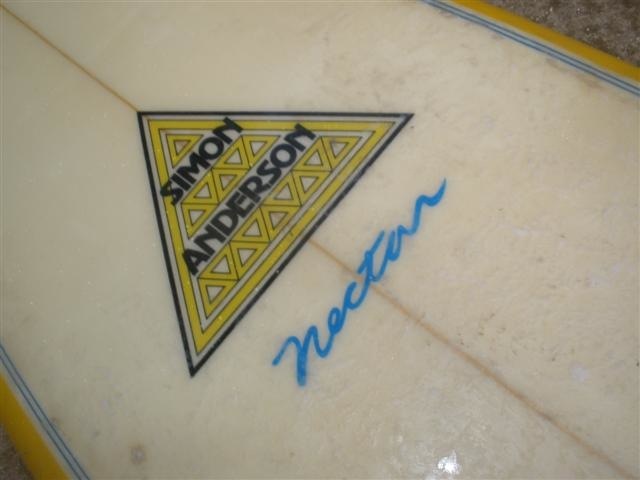 Identical in every way to Simon Anderson's Energy Thrusters of the same time from what I understand. 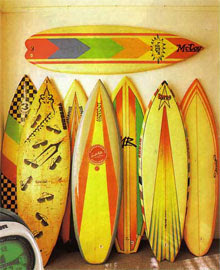 The Thruster is, by definition, a surfboard with three fins of equal size and this was the first model ever offered in the US. 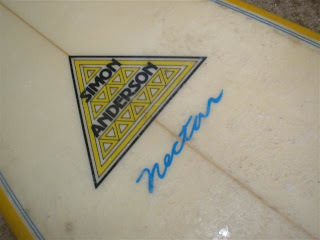 I like the way Energy Thrusters mostly all have a certain aesthetic look by way of Simon's brothers deck and rail sprays, so too do Nectar's of the same period all have similar fade rail sprays with a break detail 2/3's up the rail. 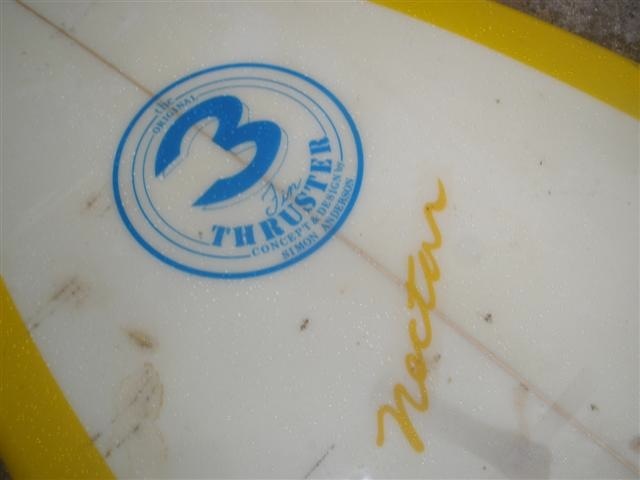 Another thing I always admired about Nectar Thrusters v's Energy Thrusters was the way Nectar's always seemed to have rear fin boxes. 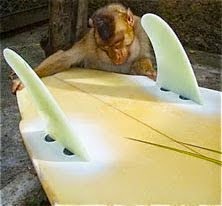 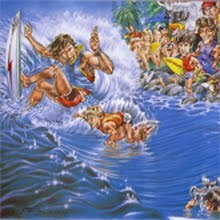 I thought it was so the surfer could adjust the position of the rear fin to make it stiffer or looser depending on conditions. 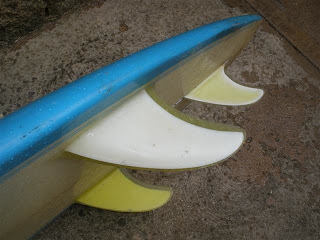 I've recently been told it was because the sander's and polisher's couldn't get their machines in between the 3 fins! 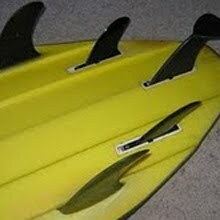 I love the custom airbrushed glassed in fin set up on these Nectars.